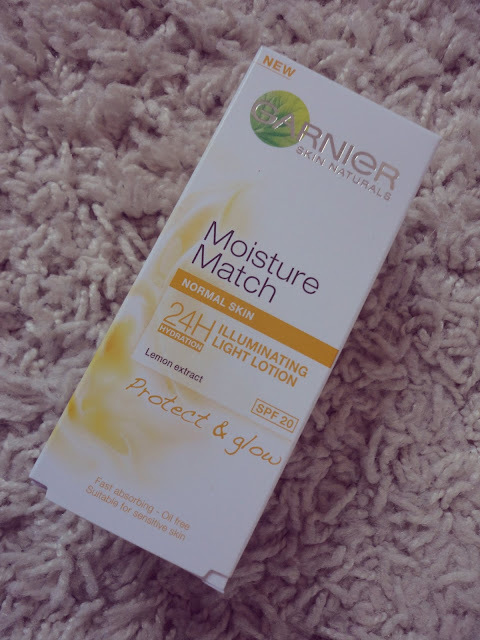 When Garnier brought out this collection of Moisture Match moisturisers a couple of months ago, I knew it was only a matter of time before I gave in and got on! After debating on which one to get (they have 5 variations for each skin type and requirement), I went for the "Protect & Glow" moisturiser aimed at normal skin. First of all, I love the packaging of this moisturiser! Each one is a different colour to signify what each one does and they are so dinky that they would be great for travelling. 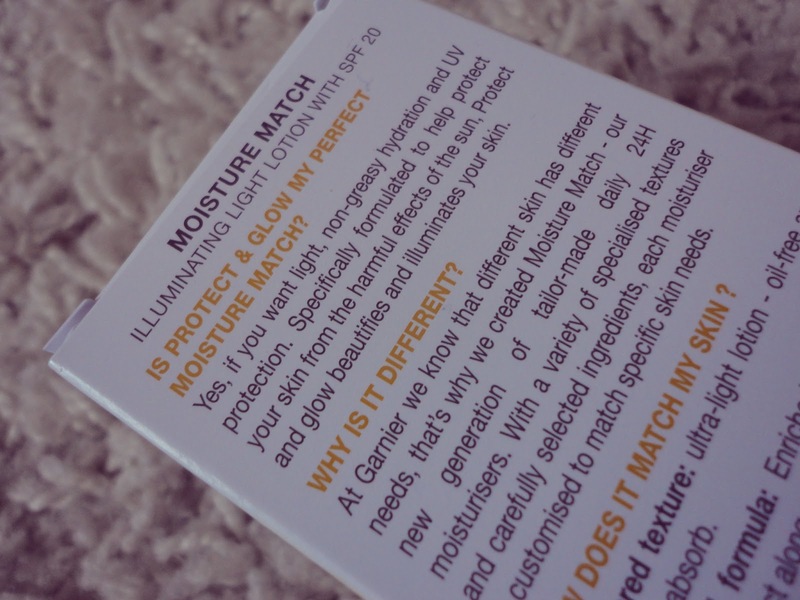 The "Protect & Glow" has SPF20 in it, which is another reason why I think it would be great for holidays. I loved the smell of this moisturiser as it smells like summer and sunflowers, although I can see what it could be off-putting for some people. 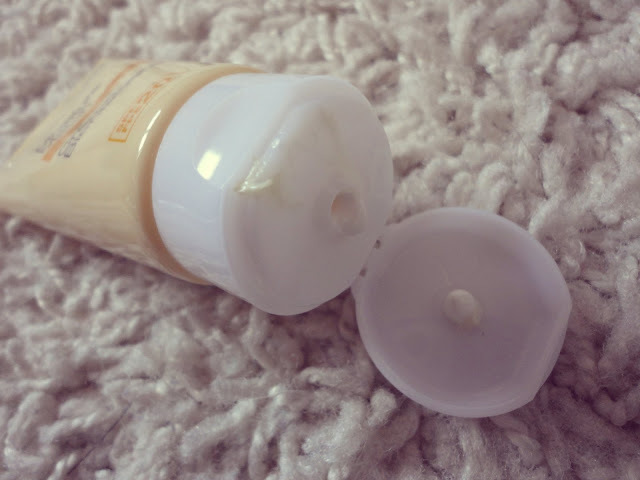 However, I do agree that it's very lightweight and sinks into the skin well, although you do need to blend it in well as it could interfere with your makeup if you try to apply it straight away. Also, this is described as an "illuminating lotion" and although it is very illuminating, it's a bit too over the top for me. To be honest, if you read my blog, you'll know I'm a great lover of dewy skin but I don't think I could wear this before makeup as I think it would look too greasy. I'm not sure whether you can see it too well in the swatch above but my skin is not oily at all and it made it look too shiny. 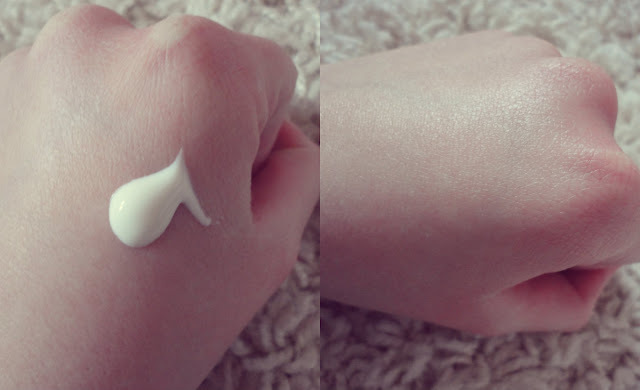 So as a result, I'm delegating this moisturiser to my 'travel' skincare and I think I'll take it on holiday with me when makeup is not a priority and SPF is! On the actual moisturising side of things, I didn't notice a huge difference between this and my usual moisturiser (Simple's Hydrating Moisturiser) so not much to report there. It didn't dry my skin out or leave it feeling oily - it just made it look shiny! I'm intrigued to try out the "Wake Me Up" moisturiser from the same range as I was choosing between them and I'm now wondering if that would have been a better choice! However, this is a lovely scented moisturiser that didn't leave my skin feeling dry. 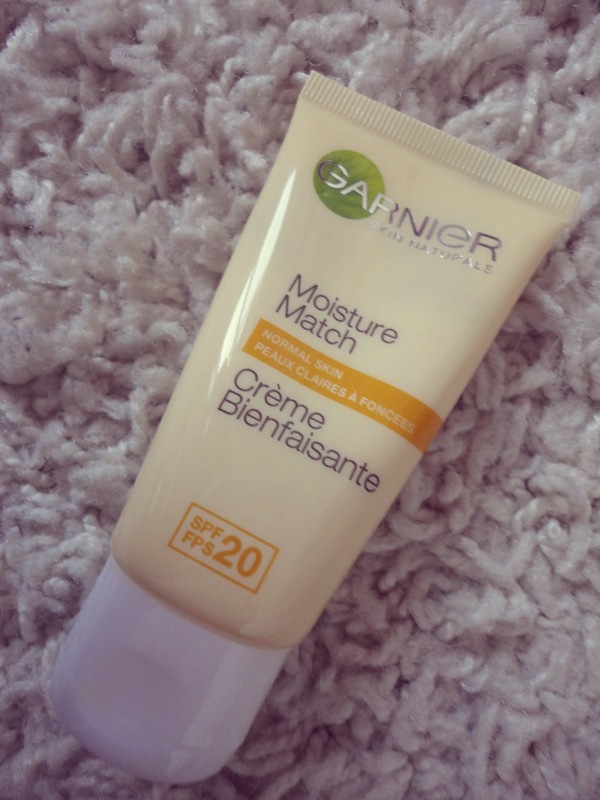 Let me know if you've tried this moisturiser or any others from the range as I'd love to know what you thought!